I was fortunate to volunteer last week at the Russian River Valley Winegrowers’ Single Vineyard Night held at the General’s Residence at Fort Mason in San Francisco. It was an absolutely stunning day in the City, and the view out of the semi-circular lounge’s windows were picture-postcard perfect. When it fell dark by 5:30, the windows showed off the sparkling harbor lights. People literally gasped as they entered the room. We had a sold-out event — people were waiting to see if anyone had extra tickets. The Expert Sommelier Seminar began at 4 p.m., and VIP’s arrived an hour early to enjoy winemakers’ special offerings. Everyone was excited for the event and I heard, more than once (even before any consumption), “Wine enthusiasts are such happy people!” Many times people would ask me what were the best wines. I would pause, open up the tri-fold brochure, and then wave my hand over it and say, “I’d stick with one of these!” It always got a laugh! There was lots of wonderful small bites from The City Kitchen S.F., Freestone Artisan Cheese, KRAVE Jerky, KIND Snacks and Truffle Gateauas well as water from Hint. I’d say Hint was a terrific surprise when it came to flavored bottled water options. Instead of a heavy juiced-type water, it had just the freshest hint (ah, I just now realized how they came up with the name) of flavor. I tasted the watermelon water and it was so refreshing! I left at 8:30, after the Golden Ticket and Instant Cellar drawings. It was great fun watching the lucky winners make their selection from the long list of auction items. The Instant Cellar raffle was also highly anticipated. 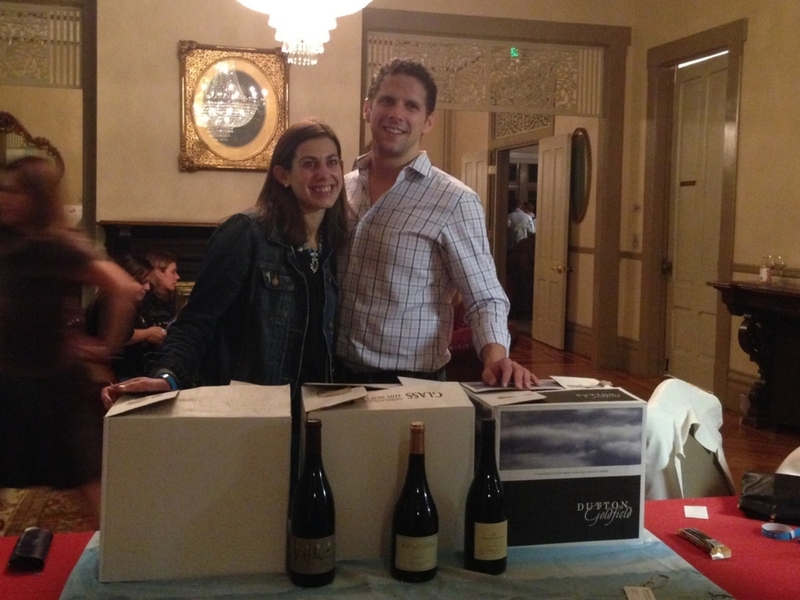 The winners, David and Lauren, took home three cases of some of the best wine that Russian River Valley had to offer. 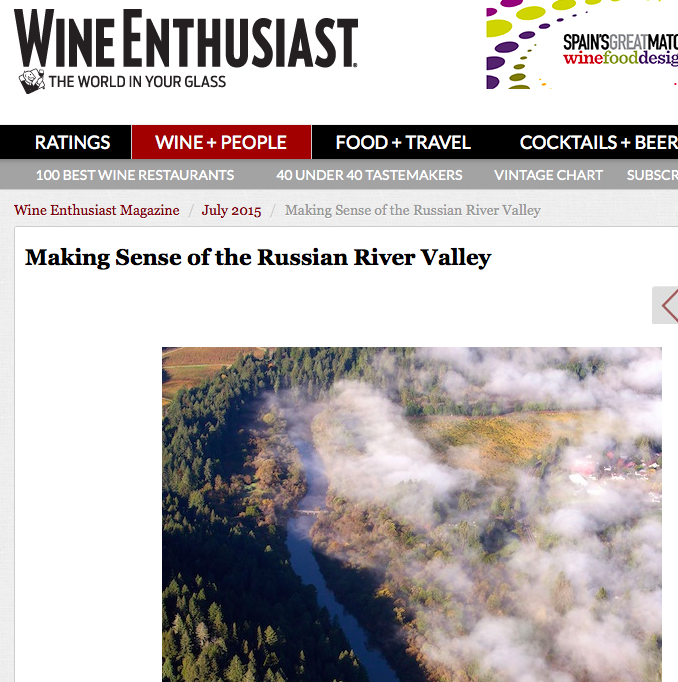 The Russian River Valley Winegrowers have made the Single Vineyard Night an annual event, so you should definitely put it on your calendar for next year!